Get a well-rounded set of mechanical skills that prepare you for a career in maintenance or manufacturing and give you an edge when seeking a competitive apprenticeship. Graduates are prepared to plan and supervise maintenance work in industries of all kinds. You could work as an industrial mechanic, welder or manufacturing senior maintenance technician, and assist in basic electrical troubleshooting. Hydraulics Technician, Multi-Flow FluidPower Inc.
Hands-on shop work includes welding, machining and maintenance procedures. Use the latest in laser alignment technology. Explore design using AutoCAD and the interpretation of engineering drawings. Earn experience diagnosing and troubleshooting. Use leading-edge simulation software to design and demonstrate hydraulic circuits and electrical circuits. 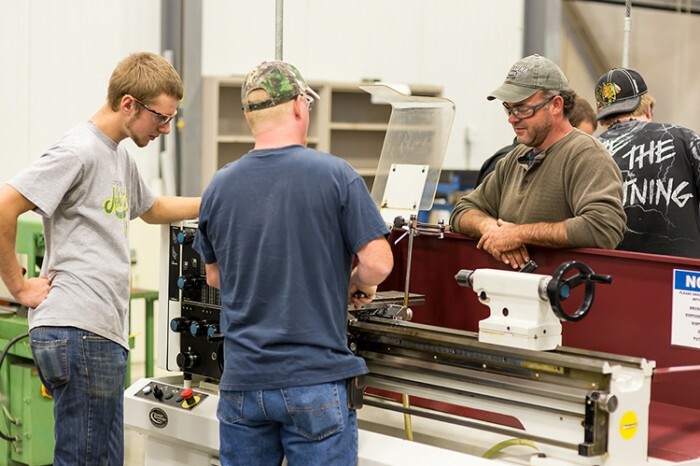 The positive learning environment includes well-lit, roomy labs with brand new lathes and milling machines. You could apprentice as an industrial mechanic (millwright), machinist, metal fabricator, welder or electrician among other trades. Loyalist’s program uses many of the same curriculum standards as apprenticeship training for industrial mechanics (millwrights). Graduates are entitled to write the provincial test for an exemption from Level I of the in-school portion of the Industrial Mechanics apprenticeship. Candidates who pass the exam don’t need to leave the workplace to attend school – making them more valuable to employers. 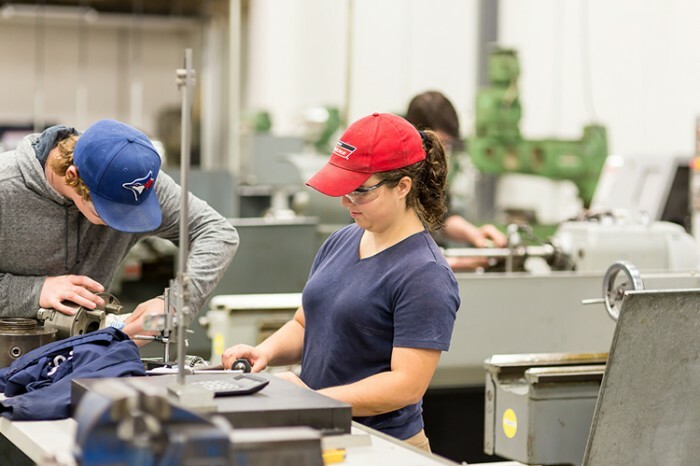 Graduates may continue into year two of the Manufacturing Engineering Technician program and complete a diploma in one additional year (with bridging courses). Learn in well-equipped labs with knowledgeable and dedicated faculty. Professors have wide-ranging industry experience in machine shops, pharmaceutical manufacturing, food processing, water bottling, uranium processing and millwright contracting environments. The program coordinator is a Red Seal Industrial Millwright. Teachers have a vast network of industry contacts to help connect students with jobs. 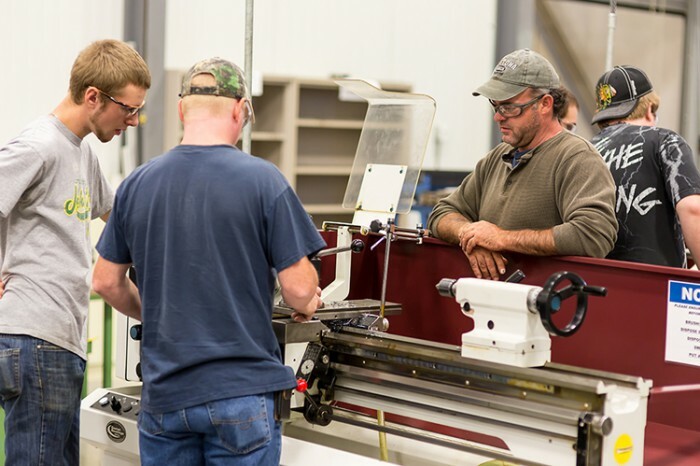 Students in Mechanical Techniques complete the first two semesters to earn their certificate. 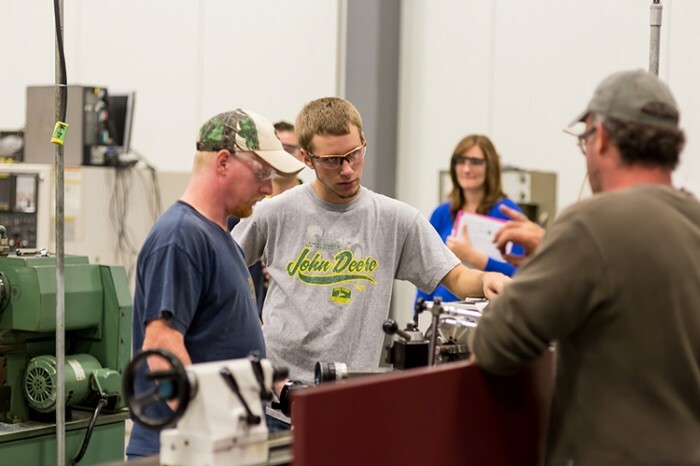 Upon graduation, students may enter into year two of the Manufacturing Engineering Technician diploma (see courses below). This course covers the theory, conventions, standards and procedures associated with the preparation of mechanical drawings. Orthographic drawings, pictorial drawings, sectional views, auxiliary views and principles of dimensioning are discussed to help students develop the skills to properly read blueprints. The course also introduces the student to computer aided design using AutoCAD. Students are introduced to Microsoft applications such as Outlook (email), PowerPoint, Microsoft Word and Excel. Students learn how to use the Internet and understand the use of a maintenance management system. Within the course, students are equipped with job searching techniques, interview skills and will prepare a cover letter and résumé. In this course students develop a clear understanding of the basic concepts of fluid power control systems. Students learn about the application of equipment such as pumps, actuators and control valves in detail, and develop a logical approach to the solution of fluid power control system design. 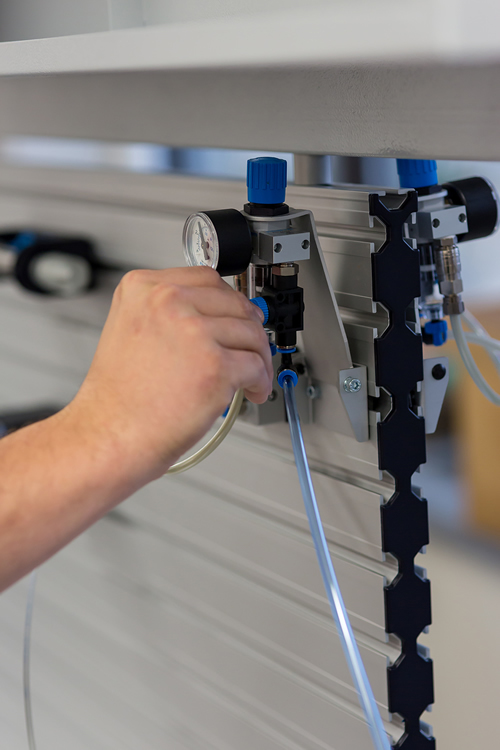 Extensive hands-on labs reinforce the theoretical principles of fluid power. 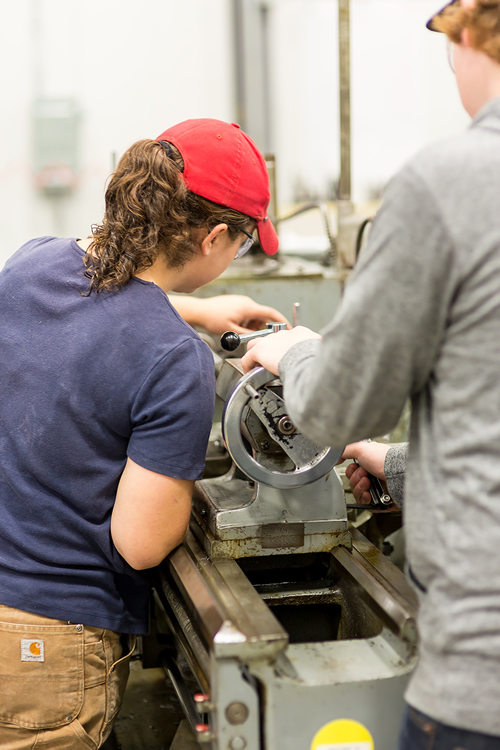 Students are introduced to standard practices used in the inspection, dismantling and replacement of components such as bearings, chain and belt drives, and couplings. 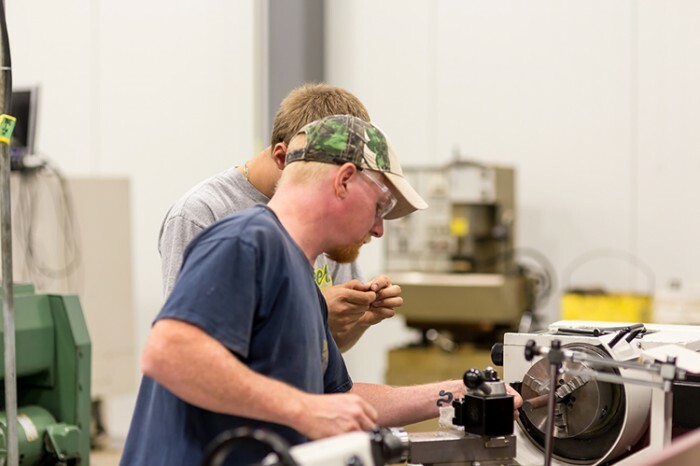 Students will learn the basics of metal cutting using various machine shop tools including engine lathes, milling machines, drill presses, grinders, as well as various hand tools. Shop safety aspects and principles of metal cutting are discussed. Students learn the rights and responsibilities under the OHSA. Safety related to the uses of overhead cranes, forklifts, proper hook-ups lifting loads, and awareness to safety concerns within the industry are introduced. In this course, students demonstrate basic analytical skills and are prepared for further studies in mathematics. Topics include basic number systems and operations, basic algebraic operations and equations, units and measurement, and solving word problems. An introduction to the theory and practice of welding to give the student a strong background in the various fabrication processes. Oxy-acetylene welding, cutting, brazing, braze, soldering and Shielded Metal Arc Welding (S.M.A.W.) will be covered. Students learn the interpretation of installation, assembly and detail drawings as applied to the maintenance trade. This is a continuation of the first semester course with applications of AC theory to the installation and maintenance of motors and control systems. A continuation of Fluid Power 1. A continuation of Machine Maintenance as applied to air compressors, pumps, speed reducers and machine tools. 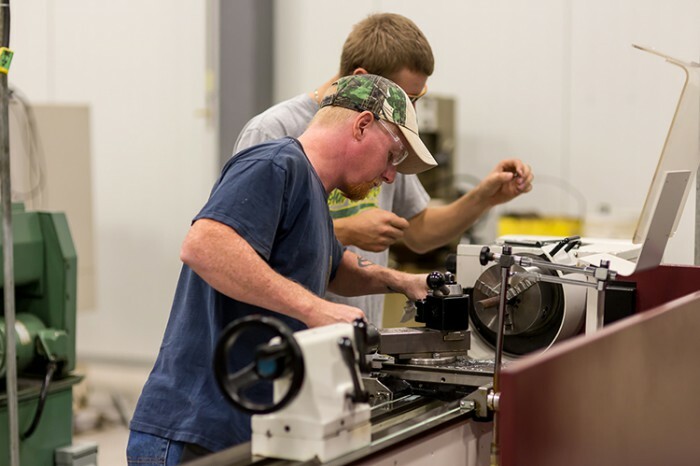 Students learn the application of turning, milling and grinding procedures to the repair of machine parts. Students consolidate skills in arithmetic, algebra, solving equations and geometry, trigonometry, and graphical analysis to solve problems used in technological applications. This course is a continuation from Semester 1 and furthers students’ knowledge of the application of standard welding processes to the repair and fabrication of equipment. This is a continuation of CAD 2 where more advanced techniques are introduced. Students learn to generate solids and wire from images using AutoCAD and CADkey software. The objective of this course is to provide the student with the foundation of NC programming for turning and machining centres. The students will use computer aided methods to create NC programs and run the machine tools to produce a variety of components. The aim of this course is to show how and where ferrous and non-ferrous metals can be effectively and economically used. It comprises a study of the main properties, general composition, supply and methods of heat treatment. Ceramics, composites and other non-metallic materials are also discussed. This course introduces the learner to Lean principles and business processes. Businesses uses these principles to eliminate waste so that resources are used efficiently. Students study programming, interfacing, applications and troubleshooting of programmable controllers. Emphasis is on hands-on learning and solutions to problems in industrial automation systems. 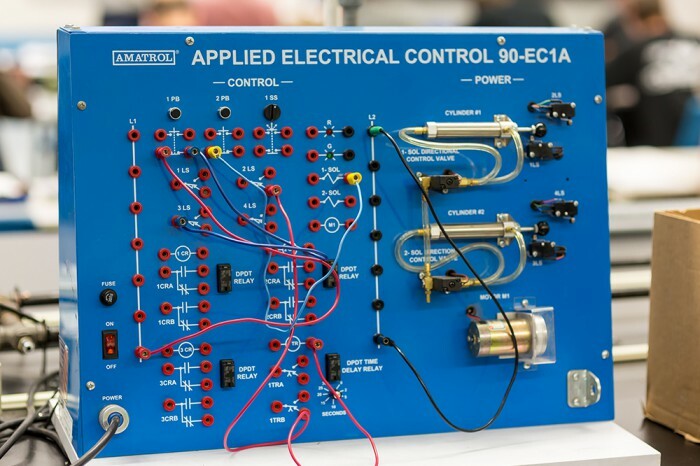 Students will learn how probability and statistics are applied to quality control as related to receiving and process control in manufacturing including how to sue and interpret various control charts for variables and control charts for attributes and sampling techniques. Other topics include process capability studies and improvement techniques such as Pareto diagrams and cause-and-effect diagrams. This course will instruct students in parametric design using the Autodesk Inventor software. Students will learn the best approaches to parametric design through hands-on practice in solid modelling, assembly, presentation, simulation and proper engineering drawing production. 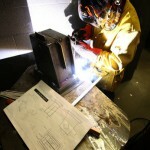 Also included in the course are sheet metal and weldment designs. 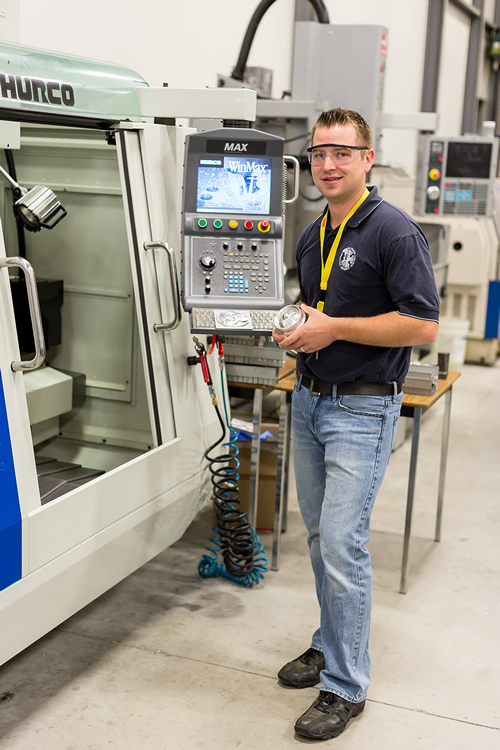 This is a continuation of CNC machining where students will learn to utilize CAD/CAM software such as MasterCAM to create part geometry within the software or import from a different CAD environment; they will create the tool path; verify it and generate the CNC code via a post processor for both mills and lathes. 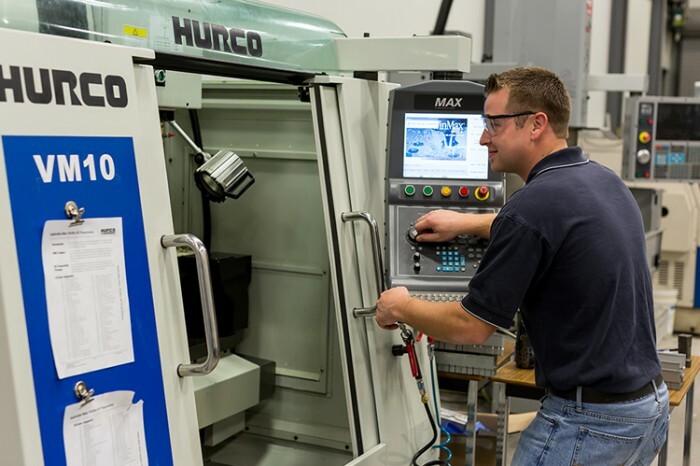 Students undertake progressively more complex projects including 3D solids from the design stage to and including actual setup and machining utilizing our industrial-type CNC machine tools. The objective of this course is to provide the concepts and procedures required to design and select common machine elements, such as bearings, gears, belts, chains, etc. found in mechanical devices and systems. 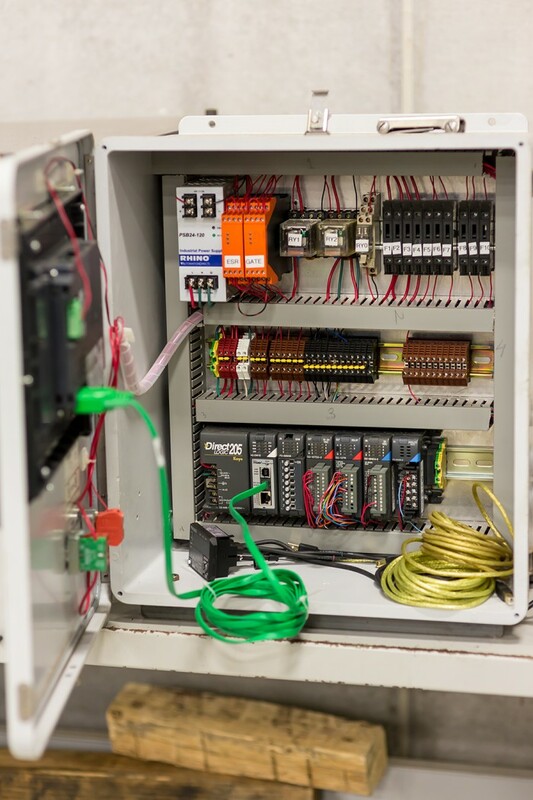 Students will utilize modern automation technology to develop complex electro /mechanical systems. Students apply the principles learned in previous courses. The learner will apply safety protocol specific to the culminating project. In this course, Students get a solid grounding in process planning and jig and fixture design. 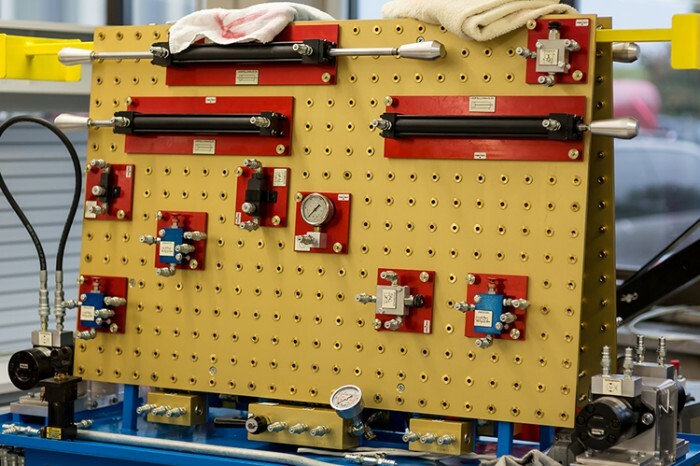 Through a variety of hands-on assignments, students will learn proper locating and work holding principles, become familiar with the type and purpose of a variety of different jigs and fixtures including modular fixturing. Students undertake progressively more complex jig and fixture designs and use CAD software to complete the designs including importing different tooling components from web sources such as Car Lane. Welding and machine shop experience are highly recommended. 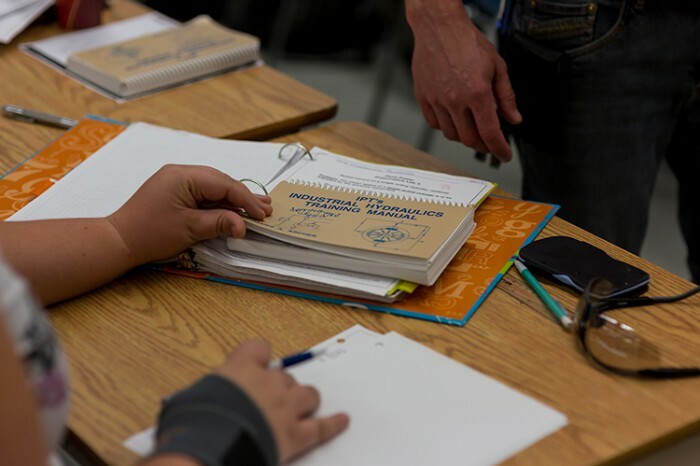 Belleville, Ontario, January 9, 2014 – Loyalist College is pleased to introduce the new College Technology and Trade Preparation one-year Ontario College Certificate program beginning February 1.